Drive Bariatric Free Standing Trapeze with Base and Wheels is designed to assist larger individuals to change positions while in bed and aid in the transfer from bed to chairs. It is easy to assemble and adjust. 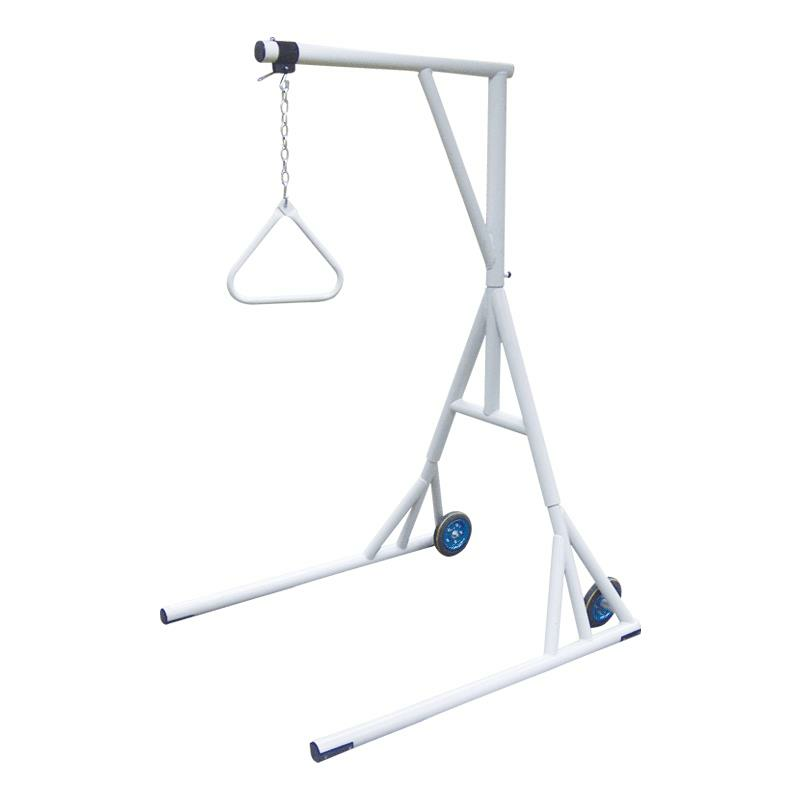 The overhead boom swivels from 0 degrees to 180 degrees and is built on a wide frame and base. The chain is adjustable from edge of headboard to the end of boom by sliding to desired position. Outside Width Between Legs 48"